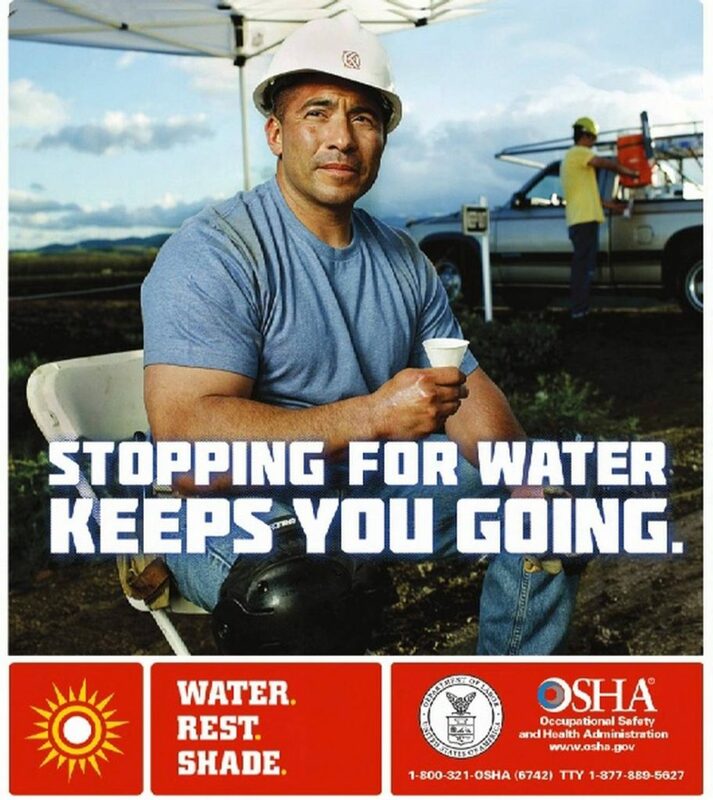 Every year, dozens of workers die and thousands more become ill while working in extreme heat or humid conditions. Understanding the potential harm caused by working in high temperatures is only the first step when it comes to protecting employees. The most vital step in protecting workers is to develop a Heat Stress Prevention Program for your company. This starts with inspecting your workplace with a focus on location, time of year, geography, and risk factors and then building a comprehensive program around the results. OSHA Technical Manual (OTM) Chapter – Heat Stress. OSHA Directive TED 01-00-015 [TED 1-0.15A], (September 15, 2017). Includes useful sections on heat illness, prevention programs, assessment and screening for heat stress in the workplace. Heat Illness. National Institutes of Health, Medline Plus. Includes information in multiple languages. Heat: A Major Killer. National Oceanic and Atmospheric Administration (NOAA), National Weather Service. Links to landing page with NWS’s heat index description and chart.